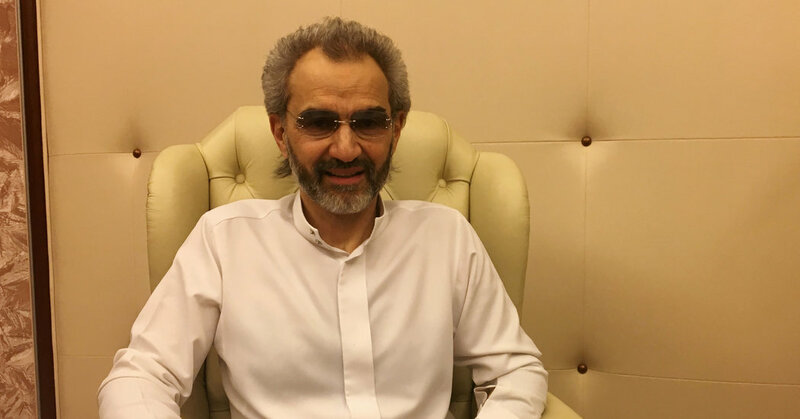 Prince Alwaleed bin Talal seen on Saturday in the the Ritz-Carlton suite where he has been detained in Riyadh, Saudi Arabia. BEIRUT, Lebanon — Prince Alwaleed bin Talal, Saudi Arabia’s most prominent investor, has been released from detention in the Ritz-Carlton in the capital after he was arrested amid a sweeping crackdown on corruption, two close associates of his family said on Saturday. The billionaire prince was arrested in November and detained in Riyadh, along with 10 other princes and hundreds of other members of the Saudi elite, as part of what the government called a mass crackdown on corruption. But the arrests were also seen as the latest moves by Crown Prince Mohammed bin Salman to consolidate power. Two and a half months later, many of the high-profile detainees have been released, apparently after either being cleared or agreeing to hand over significant assets to the government. The prince has stakes in Twitter, Lyft and other international companies.